This section is dedicated to the men of TMP. Here they will share their thoughts on a variety of topics, passions and what's on their minds. There will also be exclusive clips from The Man Project. 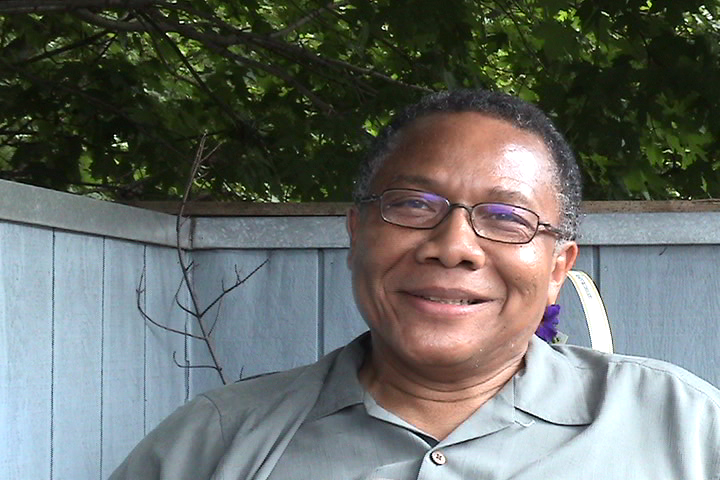 Our first contributor is award winning cyber columnist and veteran journalist Monroe Anderson. In addition to being one of the magnificent men of TMP, he was the moderator for our first public screening during the 2008 TVOp Festival. Monroe wrote this intro on June 21, 2009 for his blog. I've spent the last 25 Fathers Days without. By now, I thought I'd be over my father's death. I'm not. It's no longer the ever present pain as it was back then but every now and then, his lost haunts me. And always on Fathers Day I remember and wonder what it would be like if he was still here. I've written about him more than once, I posted a Chicago Tribune column last year that I wrote shortly after his death. This Fathers Day, I'm posting a Chicago Sun-Times column I wrote three years ago. What happens to children without father's example? “I want you to have this,” he said, handing it over, barrels up. The shotgun meant a lot to him. When he was a boy living down South, his maternal granddaddy used it while teaching him to hunt for supper. Thinking it was a strange gesture, I thanked him, as I took the 12 gauge. Eight days later, my father was dead at 61, the victim of a massive heart attack. To this day, those first and last images remain burned into my mind’s eye, capturing the core of what my father meant to me. He was light and warmth and protector and provider. He made it all so easy for me, while it hadn’t been easy at all for him. My father’s father, yet another Monroe Anderson, was a sharecropper in the Mississippi Delta. About eight decades ago, a tornado uprooted my father’s family’s tenant shanty. The bodies of his father, his mother and his six-year-old sister were found in the storm-ravaged fields my grandparents had worked. As the rescue and recovery team plowed through the fields, heaping one corpse after the other on its horse-drawn cart, my father, then a one-year-old baby, was found lying face down in a furrow. Just as they were about to stack his tiny body with the others, he shuddered. He was raised by his grandmother and two young aunts, always wanting and always missing the family he never knew. By the time he was 16, armed with just an eight-grade education, he was on his own. He migrated North, first to Chicago, then to Gary, to improve his lot. Shortly after he was drafted into the army during World War II, he and my mother, Norma, would elope; their marriage would last for 42 years, ‘til death they did part. The war ended and I was born a year after my father was honorably discharged. My sister followed five years later and my brother came six years after her. While my father worked in the steel mills for most of his life, his real job was family man. He was the house handyman and the family chauffeur. He was a man with traditional values who cherished his position as head of household, but also a man ahead of his time. He routinely relieved my homemaker mother from the daily drudgery of cooking and house cleaning. 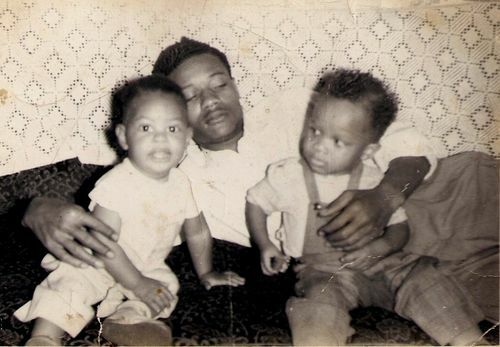 From time to time, I think about my father, wondering how different I’d have been had he not always been there, showing me how to be a man, demonstrating how to be a father. I wonder what his reaction would be to this “my baby’s daddy” era when too many fathers are casual acquaintances to their children when not absent or non-existent. In our modern times, one third of our children are raised without the biological father present. In African American households, it’s twice as bad because the percentage is twice as high. How much better would life be for these children if they had fathers present and committed? A great father is hard to forget. So I know how lucky I am that he was there for me to remember this father’s day and every other day.